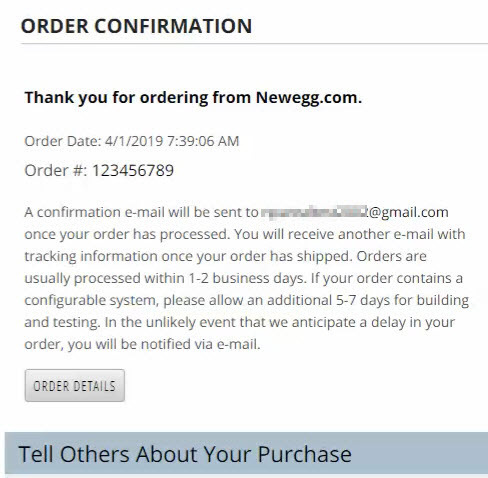 This tutorial will guide you through the process of placing an order on Newegg.com. You may search for an item using the keyword search or product category search. 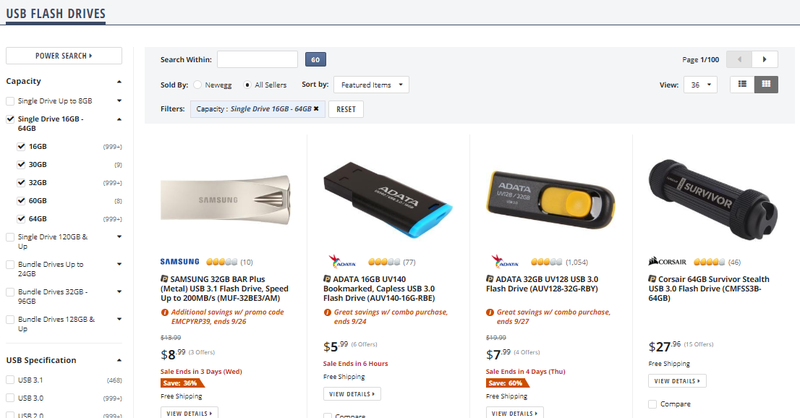 For example, if you are looking to buy a new USB flash drive, scroll over the Computer Hardware category to the left of the screen, and then select Flash Memory & Readers. 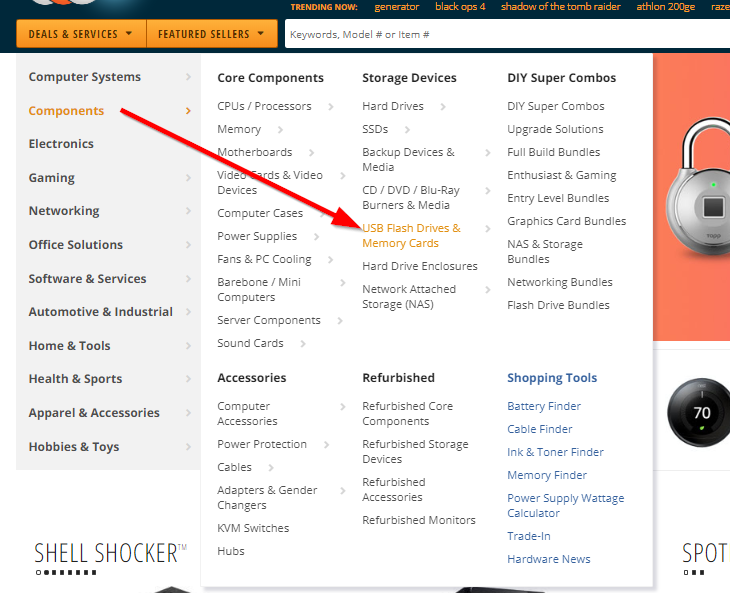 The Flash Memory & Readers homepage will provide you with a variety of options. 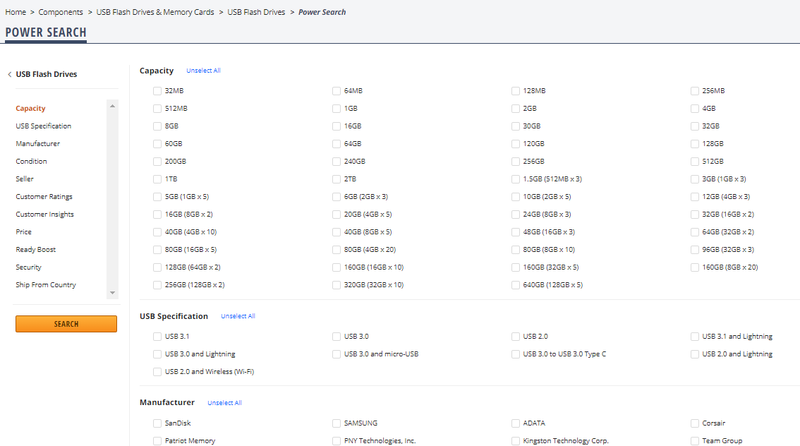 Let’s select USB Flash Drives. You can narrow down your search by selecting your product preferences. You may also narrow down your results using Power Search, which allows you to select multiple preferences. The filter will display products matching your criteria. You may select an item to view more information on the product description page. The product description page provides pictures, product reviews, available mail-in rebates, available extended warranties and more. Under the Specifications tab, you are able to view product specification details, the Newegg return policy, manufacturer warranty when applicable and a direct link to the manufacturer’s website. 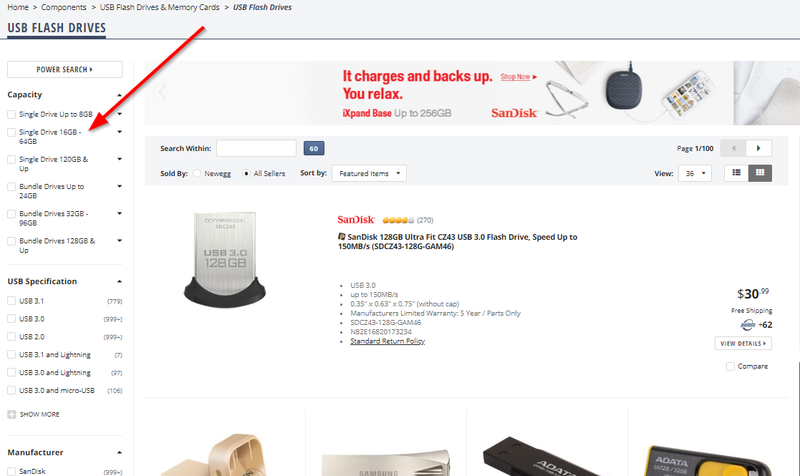 To select the item, simply click on the Add To Cart button. The product description page provides product images, product reviews, extended warranty options and more. To view the product specifications, the Newegg return policy, manufacturer warranty and/or contact information, simply click on the Specifications tab. 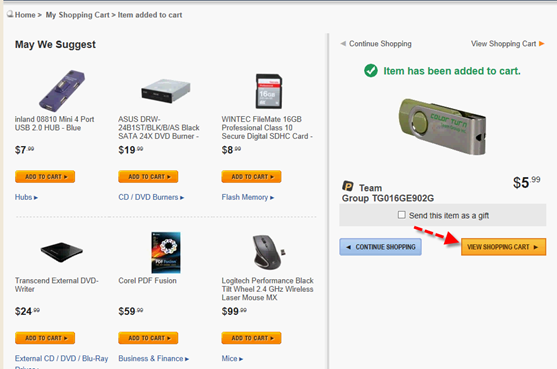 To select the item, simply click on the Add To Cart button. The next page will display a list of suggested products. Click the View Shopping Cart button to proceed to checkout. Once you are in the shopping cart, enter your shipping zip code into the Zip/Postal Code field and click Update. The available shipping options and fees will be displayed. We offer a comprehensive Newegg membership program, Newegg Premier. This membership gives you free 3-Day shipping, as well as 50% off Second Day and Next Day shipping on select items. Once you become a Premier member, you also receive benefits such as free returns, special alerts, exclusive deals and access to a private customer service line for quick assistance. Some restrictions apply. To apply a promo code to your order, simply enter your email address into the Apply Promo Codes field and click Enter. You may then enter the promo code and apply the discount. You may also redeem a Newegg Gift Card or Google Offer code. 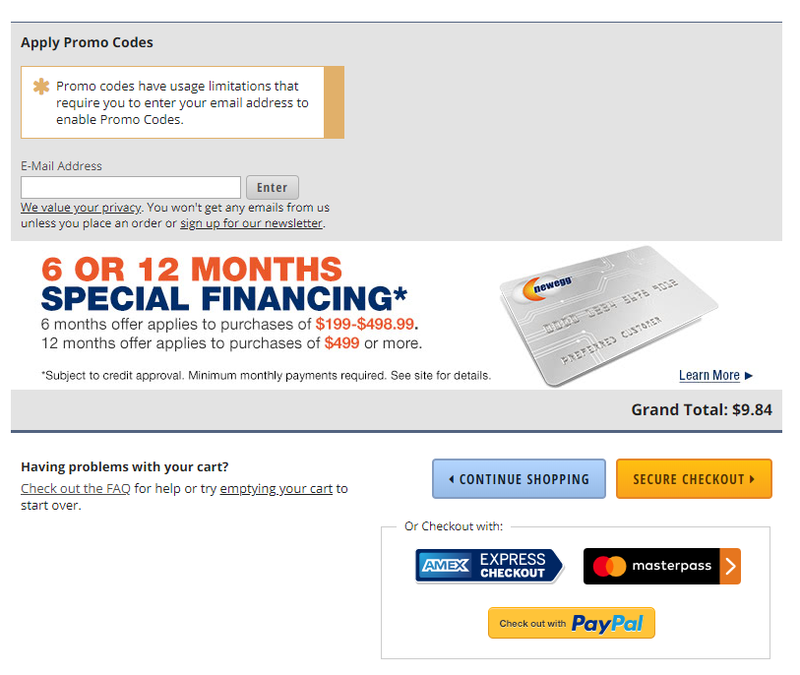 Once you have completed this process, click on Secure Checkout. Next, you will need to sign in to your Newegg account. 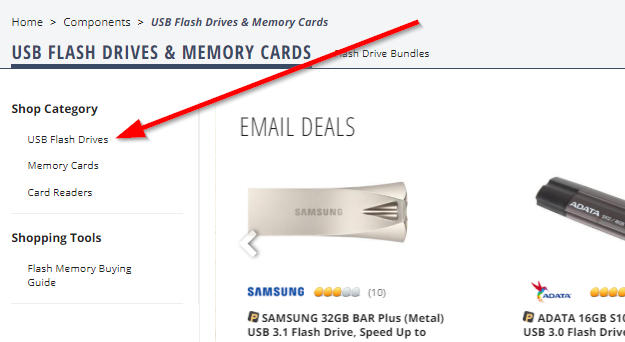 If you do not remember your Newegg ID or password, please click on the Forgot your Newegg ID or Password link to receive the information by email. If you do not have an account, please create one by selecting the Continue as a Guest button. Fill out the account information, and then click on the shopping cart icon at the top of the page to continue checking out. The first section of the checkout process requires you to choose an existing shipping address or add a new shipping address. Once you have entered in the shipping address, you’ll need to click on the Continue to Billing button to be taken to a page where you can enter in your payment info. For security purposes, if you select a payment other than credit card, you may only ship to the billing address on file with the payment provider. If you would like to ship your package to a different address, please select the credit card option. Before clicking the Place Order button, please review your order and make sure the address and all other information is correct. 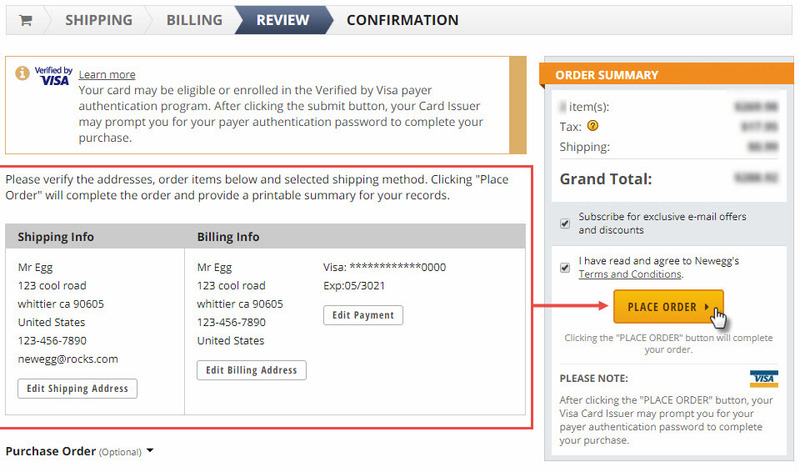 Then you may review the Newegg Terms and Conditions and select the corresponding checkbox. Last, but certainly not least, click the Place Order button. 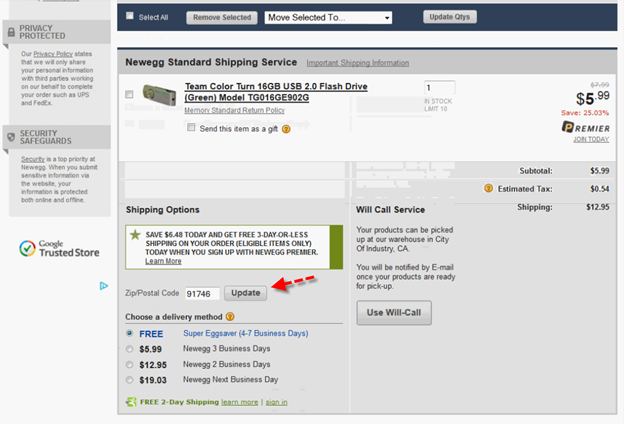 Your order will process in the Newegg system and provide you with an order number. If your card is eligible for the Verified by Visa or MasterCard SecureCode features, a pop-up window may appear, and you could be redirected to CardinalCommerce, our verification service provider. 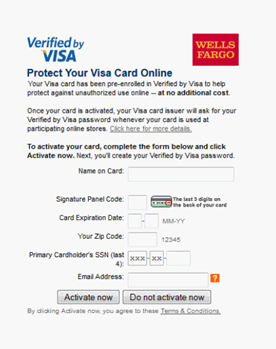 You may either log in to an existing Verified by Visa or Mastercard SecureCode account, activate an account or opt out by clicking the Do not activate now button. You will receive an order number along with an order confirmation email. 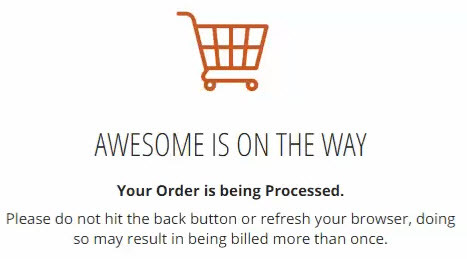 To view or print a copy of your order confirmation page, please click on the Order Details button.